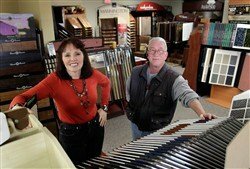 BUILDERS’ FLOORS & INTERIORS has been in business since June, 1997. We opened Builder’s Floors and Interior’s on June 1, 1997. Our company represents a wide array of Carpet Manufacturers and thousands of different styles of carpeting by such well known Fiber Companies as STAINMASTER. In addition, we offer the best Brands of Hardwood such as Bruce, Anderson and Mannington, Vinyl floors, Ceramic tile, Blinds and Shutters and other Decorative products. We offer Decorating assistance to our clients in color coordination of all interior finishes for their homes as well as consultations in floor covering coordination with counter tops, bath tiles, wall colors and cabinets and other surfaces for new construction when clients purchase our floor covering. Builders’ Floors & Interiors staff has for over 20 years serviced the new Home Builders of our area as well as their Homeowners and many existing home replacements. We also install commercial floor covering and have done many offices and condominium units. Our experienced sales personnel offer many years of acquired knowledge in all aspects of the floor covering industry from wood, ceramic to soft surfaces of carpet installations, sub-flooring issues and other needs surrounding floor covering installations. Builders’ Floors & Interiors also have the most experienced and seasoned installers of floor covering offering the homeowner the assurance of a quality and timely job done to their satisfaction. 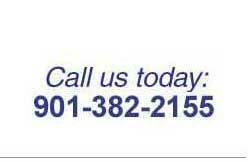 We stress SERVICE to our customers and get many referrals from Homeowners, Builders and Realtors.